. Published on December 31, 2013 . 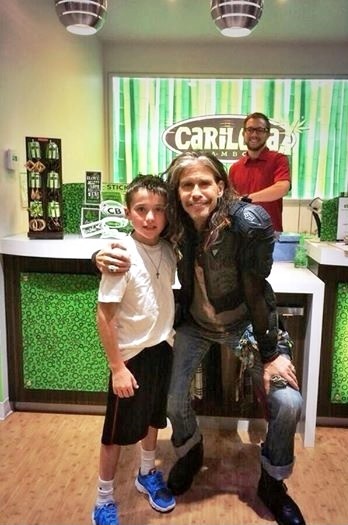 What if… Steven Tyler from Aerosmith walked our way and bought some bamboo sheets from Cariloha…? You might say, Dream on, or whatever that’d never happen. He stopped by Cariloha Wailea, Hawaii this past week and bought some ultra-soft bamboo sheets and pillowcases, creating some Sheet Emotion from the Cariloha staff! Thanks Steven! You so rock! Especially with Cariloha Bamboo!